Along the Geyser Creek trail at the Fall Back 5K. Gore Mountain's Leaf Cruncher 5K. Remember playing with a kaleidoscope when you were a kid? The shifting display of colors and patterns teased countless hours of wonderment. You had control of the turning mechanism, but still there was no way to predict the outcome. 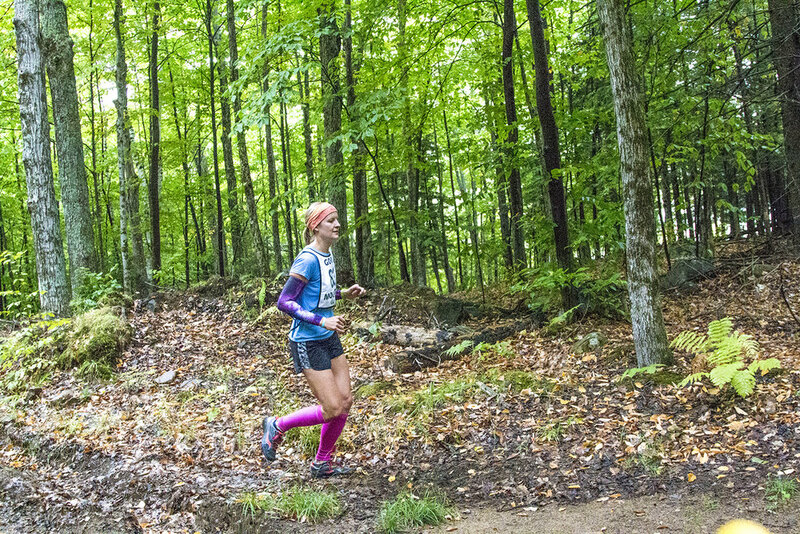 This autumn’s offering of trail races is like that glimpse into a magical world where brilliant leaves and twisty trail generate both focus and wonderment. Coveted trophy rocks awarded at Lapland Lake's "Course/Curse the Wall" 5K & 9K Trail Run. Soon glittery, rainbow fairy snowflakes will fall and your autumn familiarity with these trails will ease the transition to snowshoeing and Nordic skiing through an icy kaleidoscope of winter colors!